Name Variation Marie Louise Lambe was also known as Lamat. Name Variation Marie Louise Lambe was also known as Daisy Marie. Married Name 21 September 1881 As of 21 September 1881,her married name was Adams. Marie Louise Lambe was born on 11 March 1862 at Warrenville, Illinois. She married Robert Crooks Adams, son of William Adams and Elizabeth Campbell Crooks, on 21 September 1881 at DuPage, Illinois. Marie Louise Lambe died on 6 July 1942 at Wheaton, DuPage, Illinois, at age 80. She was buried after 6 July 1942 at Wheaton Cemetery, Wheaton, DuPage, Illinois. Marie Louise Lambe had 7 with 7 living in June 1900 children. She had 9 with 9 living in 1910 children. [S373] U.S. Federal Census 1940 U.S. Federal Census, by Ancestry.com, Year: 1940; Census Place: Wheaton, DuPage, Illinois; Roll: T627_798; Page: 62B; Enumeration District: 22-69. Married Name circa 1908 As of circa 1908,her married name was Reeder. Mabel Catherine Adams was born on 19 June 1885 at Illinois. She was the daughter of Robert Crooks Adams and Marie Louise Lambe. Mabel Catherine Adams married Irvin Reeder circa 1908. Mabel Catherine Adams died on 28 February 1958 at age 72. Irvin Reeder was born in 1878 at Illinois. He married Mabel Catherine Adams, daughter of Robert Crooks Adams and Marie Louise Lambe, circa 1908. Irvin Reeder died in 1956. Name Variation Robert Carl Adams was also known as Carl Robert. Robert Carl Adams was born on 5 August 1887 at Worthington, Indiana, also reported as Pennsylvania. He was the son of Robert Crooks Adams and Marie Louise Lambe. Robert Carl Adams married Lillian T. Hagland on 6 April 1916. Robert Carl Adams died on 9 December 1961 at Illinois at age 74. Name Variation Laurence J. Adams was also known as Lawrence J.
Laurence J. Adams was born on 26 April 1892 at Warrenville, Illinois. Laurence J. Adams married Frances Elizabeth McLaughlin, daughter of James McLaughlin and Mary Hicky, before June 1917. Laurence J. Adams lived in 1942 at 4813 N. Kedzie, Chicago, Cook, Illinois. Name Variation Geoffrey William Adams was also known as Jeffrey. Name Variation Geoffrey William Adams was also known as Jeff. Name Variation Geoffrey William Adams was also known as Godfrey W.
Geoffrey William Adams was born on 7 February 1895 at Warrenville, DuPage, Illinois. Geoffrey William Adams married Ethel Grey Vaughan on 15 September 1921. Geoffrey William Adams died on 6 April 1978 at Titusville, Brevard, Florida, at age 83. 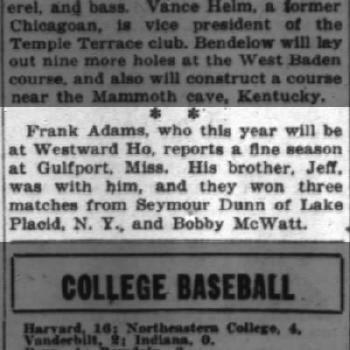 On 3 April 1921 Frank Adams golfing with brother, Jeff. Married Name 15 September 1921 As of 15 September 1921,her married name was Adams. Ethel Grey Vaughan was born on 7 April 1898 at Bonanza, Floyd, Kentucky. She married Geoffrey William Adams, son of Robert Crooks Adams and Marie Louise Lambe, on 15 September 1921. Ethel Grey Vaughan died on 7 December 1958 at Portsmouth, Virginia, at age 60. Married Name 23 June 1923 As of 23 June 1923,her married name was Dunton. Margaret E. Adams was born on 13 December 1897 at Illinois. Margaret E. Adams married Harold Pratt Dunton on 23 June 1923. 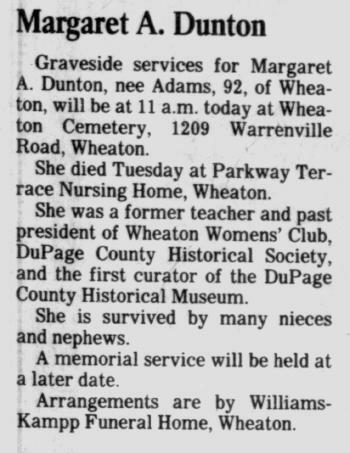 Margaret E. Adams died on 3 April 1990 at Illinois at age 92 Margaret Dunton, 92, a retired public school teacher, was the founder and director for 12 years of the Du Page County Historical Museum. A lifelong resident of Du Page County, she died Tuesday in the Parkway Nursing Home in Wheaton. Mrs. Dunton, a descendant of two pioneer Du Page families, was born in the Erastus Gary home in Wheaton, which was built in 1848. Her grandparents had owned the Lamb Mill at Warrenville. Harold Pratt Dunton was born on 28 May 1896 at South Butler, New York. He married Margaret E. Adams, daughter of Robert Crooks Adams and Marie Louise Lambe, on 23 June 1923. Harold Pratt Dunton died in January 1970 at Wheaton, DuPage, Illinois, at age 73. Name Variation Carlyn Louise Adams was also known as Carrie L.
Name Variation Carlyn Louise Adams was also known as Carleen Louise. Married Name circa 1922 As of circa 1922,her married name was Anderson. Carlyn Louise Adams was born on 5 April 1900 at Illinois. Carlyn Louise Adams married Earl A. Anderson circa 1922. Carlyn Louise Adams died on 1 February 1981 at age 80. She was buried after 1 February 1981 at Wheaton Cemetery, Wheaton, DuPage, Illinois. Name Variation Earl A. Anderson was also known as Duke. Earl A. Anderson was born on 7 August 1895 at Illinois. He married Carlyn Louise Adams, daughter of Robert Crooks Adams and Marie Louise Lambe, circa 1922. Earl A. Anderson was buried in 1971 at Wheaton Cemetery, Wheaton, DuPage, Illinois. Name Variation Kenneth Albert Adams was also known as A. K.
Name Variation Kenneth Albert Adams was also known as Doc. Name Variation Kenneth Albert Adams was also known as Albert Kenneth. Kenneth Albert Adams married Florence Weimer at last marriage for him. Kenneth Albert Adams was born on 25 April 1903 at Illinois. Kenneth Albert Adams married Ella M. (?) circa 1924. Kenneth Albert Adams died on 25 November 1963 at age 60 A. K. (Doc) Adams of Chicago, husband of Florence, nee Weimer; brother of Jeff, Harry, Margaret Dunton, and Carrie Anderson. Resting of C. Kempp & Son Chapel, 120 N. Hole, Wheaton. Services Tuesday, 2:30 p.m. Interment private. Harry Victor Adams was born on 18 June 1906 at Illinois. Harry Victor Adams died on 12 August 1974 at age 68. Catherine Reeder was born circa 1910 at Illinois. She was the daughter of Irvin Reeder and Mabel Catherine Adams. Robert Reeder was born circa 1912 at Illinois. He was the son of Irvin Reeder and Mabel Catherine Adams. Married Name circa 1924 As of circa 1924,her married name was Adams. Ella M. (?) was born circa 1902 at Illinois. She married Kenneth Albert Adams, son of Robert Crooks Adams and Marie Louise Lambe, circa 1924. Robert H. Adams was born circa 1925 at Illinois. He was the son of Kenneth Albert Adams and Ella M. (?). Robert H. Adams died before November 1963. Name Variation Frances Elizabeth McLaughlin was also known as Elizabeth. Married Name before June 1917 As of before June 1917,her married name was Adams. Frances Elizabeth McLaughlin was born on 21 March 1893 at Seaforth, Canada. She was the daughter of James McLaughlin and Mary Hicky. Frances Elizabeth McLaughlin married Laurence J. Adams, son of Robert Crooks Adams and Marie Louise Lambe, before June 1917. Married Name 6 April 1916 As of 6 April 1916,her married name was Adams. Lillian T. Hagland was born on 6 April 1888 at Illinois. She married Robert Carl Adams, son of Robert Crooks Adams and Marie Louise Lambe, on 6 April 1916. Lillian T. Hagland died on 30 July 1967 at Alameda, California, at age 79. Florence Weimer married Kenneth Albert Adams, son of Robert Crooks Adams and Marie Louise Lambe, at last marriage for him. James McLaughlin was born at Canada. Mary Hicky married James McLaughlin. Mary Hicky was born at Ireland. August Schueler married Minnie Jakel. Married Name Her married name was Schueler. Minnie Jakel married August Schueler. Name Variation Johann Bertram Kreuser was also known as John Bertram. Johann Bertram Kreuser married Margatha Fassbender. Johann Bertram Kreuser was born in July 1826 at Prussia. He was the son of (?) Kreuser. Married Name Her married name was Kreuser. Margatha Fassbender married Johann Bertram Kreuser, son of (?) Kreuser. Alesondra Elise Norwalk was born on 27 November 1989 at Madison, Dane, Wisconsin. She died on 9 April 2012 at Texas at age 22 AUSTIN, Texas — Our loving daughter and sister, Alesondra Elise Norwalk, passed away unexpectedly on Monday, April 9, 2012, in Austin, Texas. You came into our lives and brought light and joy to us, and everyone around you. Now your memory will be our treasure in the darkness that your passing has left behind. We will love you always with our hearts and soul. We will miss you greatly and will see you again someday soon. Alesondra was born to Mark and Brenda Norwalk on Nov. 27, 1989 in Madison. She has one sister, Tesha Norwalk. Alesondra was reared in three states, Wisconsin, Arizona and Texas. She graduated from Cedar Park High School in May of 2008. 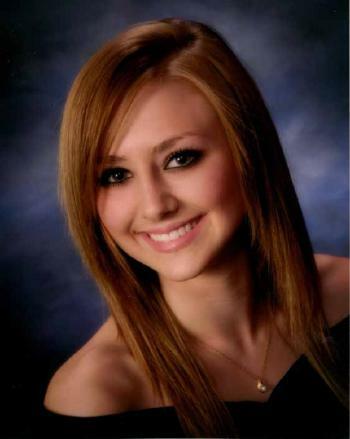 She then went to cosmetology school at Baldwin Beauty School and graduated in September of 2009. She became a hair stylist and really cherished her clients, co-workers and the art of her profession. Alesondra loved being around her dogs, Alfred and Chico, her friends, co-workers, family, and always had a friendly and outgoing personality for anyone she met. She loved to listen to music, socialize, work with animals and help people. She is survived by her parents, Mark and Brenda Norwalk; her sister, Tesha Norwalk; her paternal grandparents, Robert and Betty Norwalk; her maternal grandparents, Lonna Kaney and Vern (Lois) Kaney; her aunts and uncles, Michele (Dan) Urban, Steve Kaney, Cindy Kowalke, Tammy Kaney; cousins, Matt Kaney, Tim (Jennie) Kaney and Dorian, Amberly (Jimmy) Cooper and Christian and Jocelyn, Tierney (Tyler) Rego and Ezra, Jamie Urban; and numerous friends. A memorial service will be held at St. John’s Lutheran Church, 624 East St., Baraboo, on May 23 at 7 p.m.
Married Name 3 March 1962 As of 3 March 1962,her married name was Norwalk. Betty Jane Hutchens was born on 25 June 1943. She was the daughter of Homer Hutchens and Rachel (?). Betty Jane Hutchens died on 7 July 2014 at age 71 Betty Jane Norwalk, a lifelong resident of the Reedsburg area, went to be with her Lord and Savior Monday the 7th of July, 2014 at Sauk County Health Care Center. She was born on June 25, 1943 to Homer and Rachel Hutchens in Reedsburg, WI. Betty attended grade school at Rock Springs Elementary, and high school at Webb High in Reedsburg, graduating in 1961. She married Robert "Alan" Norwalk on March 3rd, 1962 and remained with him for over 52 years until her passing. Betty worked a number of years at Grede Foundry before taking some time off to raise her two children, Mark and Michele. She later worked many years for Reedsburg Times-Press, and Stevens Law Office until she was diagnosed with Multiple Sclerosis, a debilitating neurological disease that she battled for over 30 years. Despite her health issues, she always maintained a positive outlook and cheerful demeanor. She was able to remain at home until 1996 when her condition required that she be moved to the Sauk County Health Care Center permanently. Her husband, Robert, rarely missed a day to be by Betty's side at the Health Care Center and took her home for weekend visits with the family. During the past 18 years Betty was in the wonderful care of Sauk County Health Care Center and her family is greatly appreciative of the care she received there. Her longtime friend and neighbor Ruth Ann Gundrum was always willing to help and regularly visited Betty. Betty enjoyed spending time with family and friends and was always the first to volunteer to help someone in need. Even while dealing with her own health issues, she was active in Operation Hope, an organization dedicated to helping young mothers seek alternatives to abortion. She had a wonderful smile that could light up a room. Betty was a wonderful wife, mother, sister and grandmother and will be greatly missed. Betty was preceded in death by her parents, Homer and Rachel Hutchens; her mother-in-law, Margaret Norwalk; brother, Ronald "Jerry" Hutchens; brother-in-law, Melvin "Tom" Norwalk; granddaughter, Alesondra Norwalk; and niece, Keri Cushman-Freng. She is survived by her husband, Robert Norwalk of Reedsburg; son, Mark (Brenda) Norwalk of Austin, Texas; daughter, Michele (Dan) Urban of Reedsburg; her grandchildren: Tesha Norwalk and James Urban; brothers, Jim (Valera) Hutchens of Janesville, and Fredrick "Fritz" (Pat) Hutchens of Ironton; sister, Peggy Cushman of Onalaska, WI; sisters-in-law Alma Hutchens, and Karen "Sue" Norwalk; and a number of nieces and nephews, friends and neighbors. Hoof Funeral Home has been entrusted with arrangements. A private memorial service celebrating Betty's life will be held at a later date. 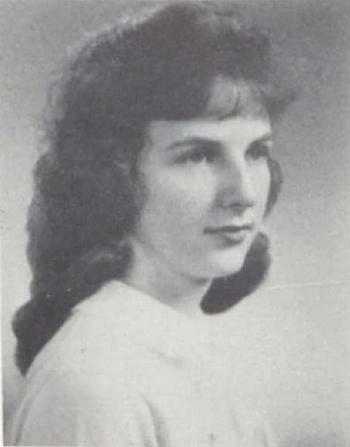 Betty Jane Hutchens graduated in 1961 at Webb High School, Reedsburg, Sauk, Wisconsin.